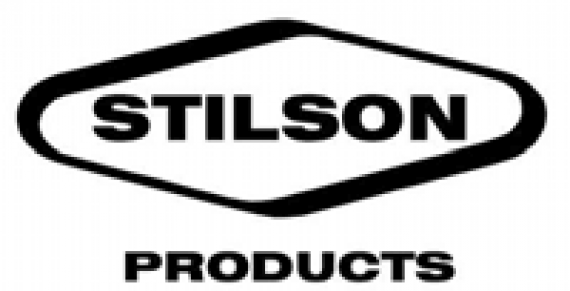 Stilson Products, LLC was founded September 1952 as Stilson Tool, Inc. by Harold H. Stilson. The first product of Stilson Tool was a line of rubber bumpers to protect metal automotive during the manufacturing process. Today, along with the complete line of rubber bumpers, Stilson Products, LLC offers a wide range of diverse industrial products. These products are used by various Manufacturers and Machine Builders to improve Production and Quality. Such products include the following. Machine Tool products used for clamping, indexing, holding, handling locating and positioning. Material Handling products used for conveying, rolling, stopping, handling, holding, positioning, protecting and aligning. Wedge Lock Actuator products used for locking, pulling and positioning. Here's an idea that can save trouble, time and money. The Stilson two-piece, quick-disconnect floating cylinder rod coupler. It eliminates leak producing side-loads caused by the inherent out-of-squareness of most cylinders (or misalignment at assembly) by providing side clearance "float" between its male and female parts. It comes in two models. One provides axial lost motion for applications requiring impact, such as breaking loose wedge-type clamps. The other model provides minimal clearance for applications requiring axial positioning. It allows cylinders to be easily assembled to relatively inaccessible driven members because it is quickly connected (or disconnected) by side-wise movement between its male and female parts. It also allows driven members to freely rotate under load. ISI Manual Clamps are designed and built for work-holding where process, space or cost prohibits the use of power clamps. The basic over-center toggle action used on the Vari-Clamp and the Toggle Clamp series ensures secure work-holding pressure by supplying tremendous force multiplications and locking ability. Plunger Clamps may be used as precision work locators for a variety of applications, and their simple design allows easy operation. Vari-Clamps are ordered "a la carte." The basic clamp mechanism is standard while the arm, handle, pivot base and base plate are all optional allowing unlimited flexibility. Handles and arms can be custom built for special applications, and bases may be welded or bolted to fixtures, or bench mounted for manual work stations. On Toggle Clamps, the arm, handle and base are standard. Only their location and base-weld is optional. Plunger Clamps offer a pre-stop, plunger detent pin, plunger cover (weld flash protection) and a threaded body as options. The forged alloy steel components used in the Manual Clamps are precision machined, then assembled using heat treated tool steel pins and rust-proof finishes. J.I.C. Locating and Positioning Blocks: Stilson manufactures precision locating and positioning blocks. Horizontal and vertical blocks are sized, drilled and tapped. Tool Block Clamps, T-Nuts and Keys: These heavy duty clamps are designed to securely hold a tool block to a dovetail slide. T-nuts and keys are designed for accurate location and clamping of tools. Rest Pads and Bushing Plate Stops: Stilson rest pads and bushing plate stops come in a variety of shapes and sizes. 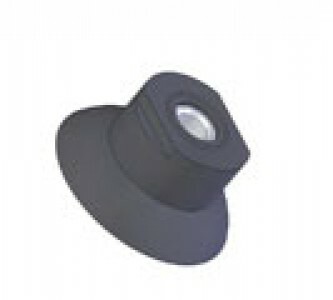 They are black oxide, carburized, hardened and ground to meet the most precise requirements. Stilson Mic-Ro-Just: The Stilson Mic-Ro-Just provides accurate adjustment of cutting tools, boring bars, tool blocks, magazines, V blocks, end stops and other objects requiring precision adjustment. With Mic-Ro-Just, simple set the tool by rotating the calibrated dial mounted on the tool block. The dial is graduated in .0005 increments, with .025 linear motion per revolution. A precision screw advances or retracts the tool with micrometer accuracy. Check Mic-Ro-Just Features: Fine pitch micrometer threaded screw, fitted to precision manufactured bushings, minimized backlash. Mic-Ro-Just minimizes the need for expensive, quick change, pre-set tooling. The Mic-Ro-Just unit speeds set-up and adjustment to the point that expensive fixtures are no longer justifiable. Reference calibrations on micrometer dial enables quick, accurate adjustment of tools or stops to within tenths setting. Mic-Ro-Just is adaptable to virtually all tooling and is available in 6 mounting styles. Mic-Ro-Just is available in two micrometer thread sizes: 3/8-40 and 1/2-40. High volume production of Mic-Ro-Just permits it to be priced considerably lower than other such adjustment devices. These bumpers are made of rugged neoprene or urethane bonded to a solid core. They are used to guard, stop, align, position or protect products through every step of the manufacturing or processing cycle. Standard bumpers are available in several sizes and configurations. They are off-the-shelf items. Fast delivery is also available for non-standard sizes and shapes. Stilson Neoprene Cushion Conveyor Rolls: Standard Stilson Rollers are available in a wide variety of designs, styles and sizes. They are designed to handle all types of products and materials with positive protection. If your product is fragile or produced with a delicate finish, Stilson Rollers provide perfect conveyer protection. Common uses for Stilson Rollers include rollers, belt idlers, die lifters and cushion shocks. 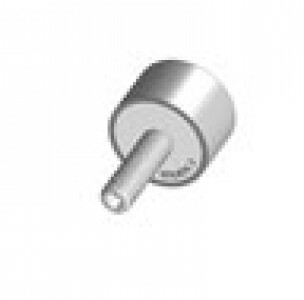 Rollers are available in two mounting styles: with ball bearings and a stud, or shaft mounted. Two types of rollers surfaces are also offered: solid or our patented finned style. The finned type roller is self-cleaning and will normally give longer service life in applications where loading of lubricants or other industrial compounds tend to build up on roll surfaces. For applications requiring substantial cushioning, specify a 35 durometer roll. The harder 60 durometer roll will provide sufficient cushioning for most other applications. Stilson One-Way Clutch Bearing Rolls: Exclusive one-way clutch bearing design keeps rolls from rolling backwards. When a conveyor or feed device stops, so do the rolls. Materials being handled or fed won't slide backwards or out of position. Available in neoprene, urethane, natural rubber or sponge. When ordering, specify right or left rotation and sponge, solid or finned. All cushion roll stud sizes are 1/2"-13. Stilson Neoprene Split-Rolls (patented): Stilson Split-Rolls eliminate conveyer shaft pulling and extensive downtime. Split-Rolls are available as solid or patented finned style, in 34 durometer and 60 durometer cushioning. Using Split-Rolls on conveyor lines, damaged or worn rolls are easily replaced without pulling shafts. Two hex screw are loosened to split the roll for replacement. Stilson transfer bar guide rolls are hardened, ground steel rolls that permit axial and rotational motion. They come in three configurations: stud mounted, bracket mounted and square bar type. There are two grades available, which are deluxe and economy. Deluxe models have roller bearings and lube fitting. Economy models have sintered bronze bushings. Specials are available upon request. Stilson Vacuum Cup Elastomer Section: All materials except chloroprene are specially formulated to be non-marking. If cups will be exposed to oils or chemicals, select the most compatible material. Silicone-ET for extremely cold or hot environments. Use flourocarbon (Viton) for high temperature applications in automotive, appliance, or other plants where Silicone is forbidden. Chloroprene is the rubber industry name for ordinary neoprene rubber. Viton is a registered trade name of the E.I. DuPont Company. Stilson Vac-Lok Vacuum Generator and Lock: The Vac-Lok Venturi provides added safety for vacuum material handling systems. Once it creates a vacuum, it automatically seals and holds until you release it. It's a necessity on applications where air supply lines must be disconnected for long periods of time or have the potential of being accidentally cut. The result is less damage to work pieces. Vac-Lok operates on the same principle as a standard Venturi with the addition of two ball check valves. Pressurized air is introduced through the air-in port. It passes through a small opening, drawing air up through the vacuum port, thereby creating the vacuum for lifting and holding parts. This flow of air through the vacuum port lifts the ball check off its seat until the required vacuum is reached. At this time, the spring loaded ball seats and seals the vacuum. The pressurized air flow is discharged through the external port, which is threaded to accept a Stilson silencer. An additional port is provided for gauging and sensing the amount of vacuum on applications where cups must hold for long periods of time without a constant air supply, or as an extra vacuum port for operating other cups. The second ball check is located in the vacuum release port. The vacuum may be released by two methods. One method is introducing air into the vacuum release port. The other method is the use of a manual release button. Both methods open the check valve. The Stilson Wedge Lock Actuator is a pneumatically or hydraulically operated mechanical locking device used to position, lock and pull cores or inserts in injection molding and die cast mold applications. To understand the basic principles of the Wedge Lock, review the function of an injection mold or a cast die. Injection molding dies are made in two halves. The molds open and close with the aid of guide pins and are held in the close position under extreme force while molten plastic in injected under extreme pressure. Once the mold is filled with the predetermined amount of materials and cools efficiently, the mold is then opened to allow removal of the part. Any hole or embossment that is desirable to the part must be cored. As long as the core is on the center parting line of the mold it will retract as the two halves of the mold are separated to facilitate removal of the parts. If the desired hole or embossment is not on the parting line, the core must be locked in position to withstand the extreme shock of the injection pressure and at the completion of the cycle be retracted prior to the separation of the two halves from the mold. The Stilson Wedge Lock ACtuator was designed to lock, position, and pull cores in plastic and die cast dies, replacing expensive rack and pinion devices and large cylinders. As the Wedge Lock ACtuator is not a clamp but a mechanical lock, and because of its compact size, and the fact that it can hold against a force up to fifty thousand pounds, it is highly sought after as a molding force for staking operations, stamping operations, and as a safety backup for many machining operations. The latest innovation of the Wedge Lock Actuator is the advent of the proximity switches, which signal when the piston is in the extreme forward position indicating that the Wedge Lock has successfully completed a stroke and is in the lock position. Likewise, on the return stroke, the proximity switch will signal the piston has retracted to its maximum position thus indicating that Wedge Lock Actuator has successfully retracted. Engineers have adapted the Wedge Lock Actuator for numerous other applications.